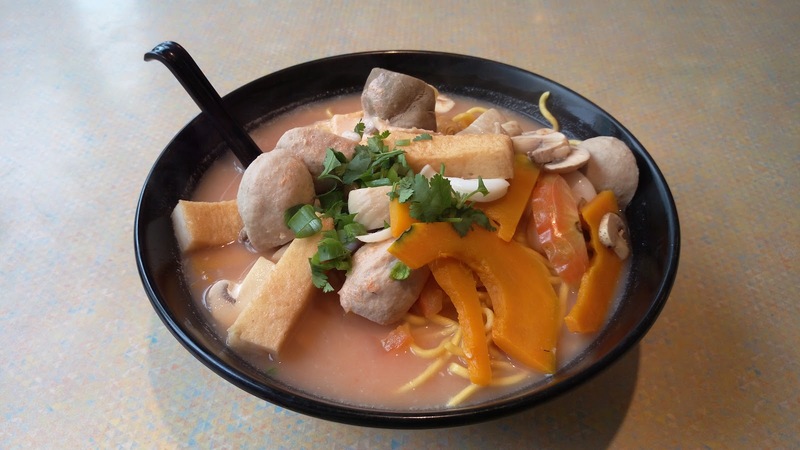 Of course, I went with the Noodles Combos at Your Choice 名島魚湯百搭系列 and had a broth base of Tomatoes & Pumpkin Fish Soup 番茄南瓜魚湯 with no napa cabbage. The stock (a blend of pork, chicken and fish) was quite diluted and bland. The only detectable flavor was the tart acidity from the tomatoes. Pumpkin slices acted more as a topping than a broth element. On top of the two toppings included in the combo, I paid extra for two more. The Pork Stomach 豬肚 was cleaned well with no creepy debris. 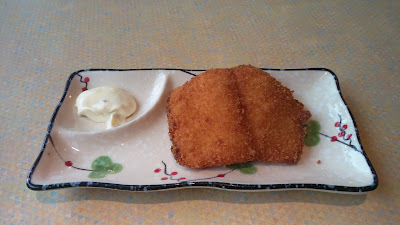 The Sliced Cuttlefish 鮮墨魚條, Chicken Ball 雞丸 and Deep Fried Fish Cake 炸魚片 were the obvious commercial qualities. 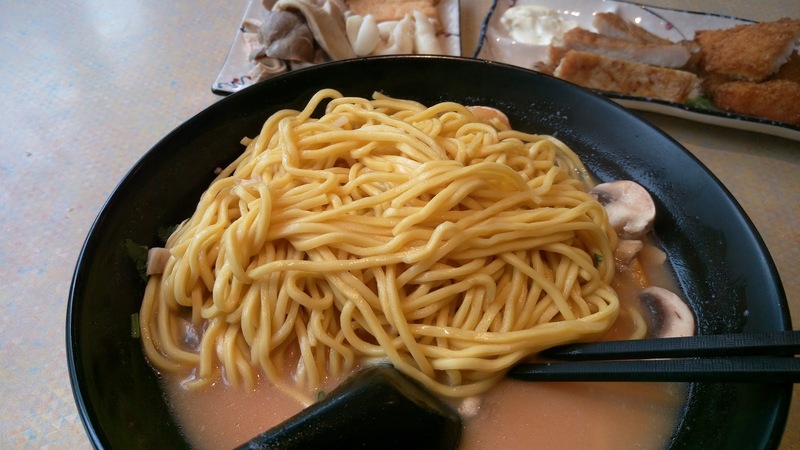 For carbs, I opted for Egg Noodles 油麵. Since I was really hungry, I was contemplating whether I should pay $1.50CAD for extra noodles...thankfully it was just a thought. My bowl had remarkable amount of al-dente noodles...the most I have ever been served from any of such noodle joints. In the end, I only polished half and packed the rest for home. Knowing me, I could never resist any discounted sides. 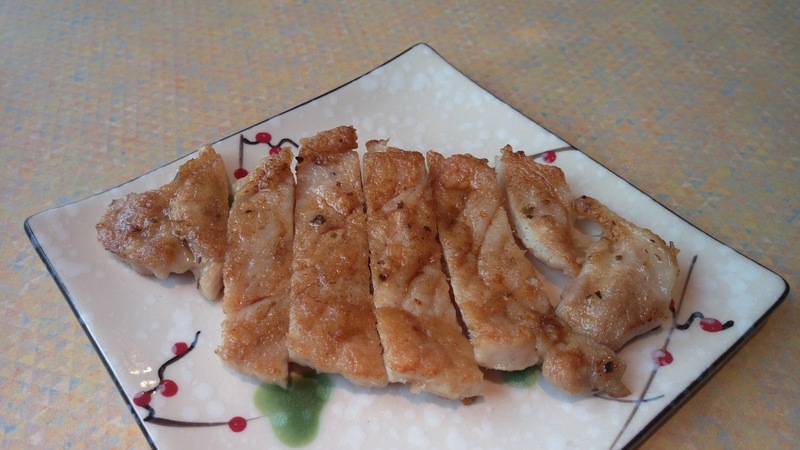 The first was the Pan Fried Pork Chop in Maggi Sauce 美極煎豬扒. The pork was a bit overcooked and the Maggi seasoning was quite minimal. 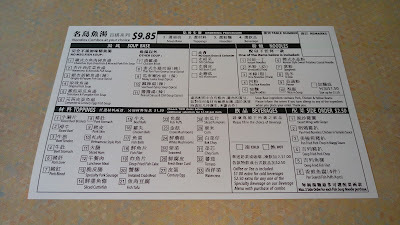 My second discounted side was the Deep Fried Fish Filet 吉列魚柳. This was left untouched after one bite because the fish had the texture similar to basa 巴沙魚 (fake sole), which I'm not a fan of. 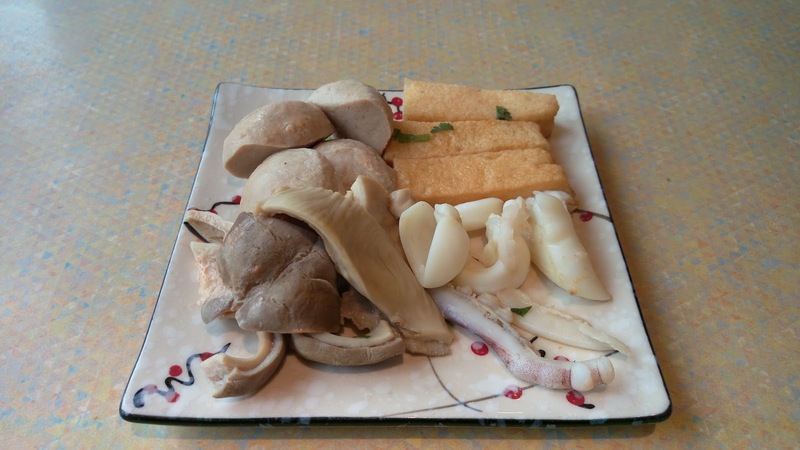 Often in 604's supermarkets (both Asian and western), Basa Fish 巴沙魚 is labelled as Sole 龍脷魚 in Chinese (i.e. "Basa Fish 龍脷魚"). This is wrong as the two fishes are very different species. Sole is a flatfish where basa is a catfish farmed in Mekong River in Vietnam, one of the most polluted rivers in the world. The combo deal includes a cup of hot coffee or hot milk/lemon tea. 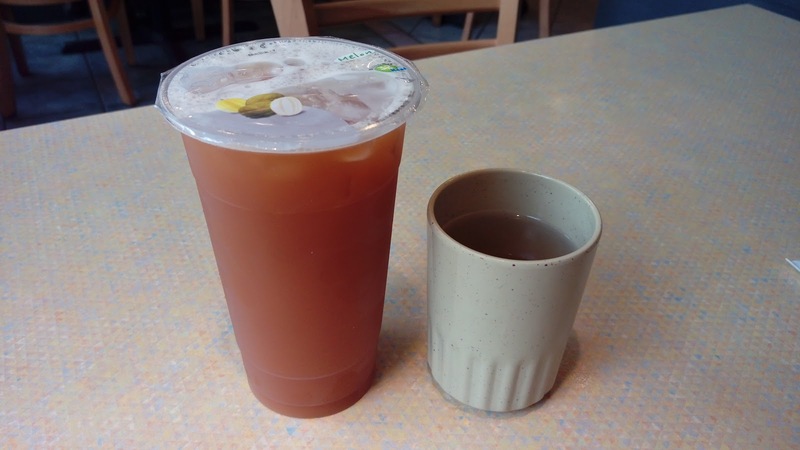 I paid extra for a cold drink of unsweetened House Special Black Tea 泡沫紅茶. The drink was diluted and weak. Not recommended. Some online reviews noted that this place is Taiwanese-owned and operated, this is false information. 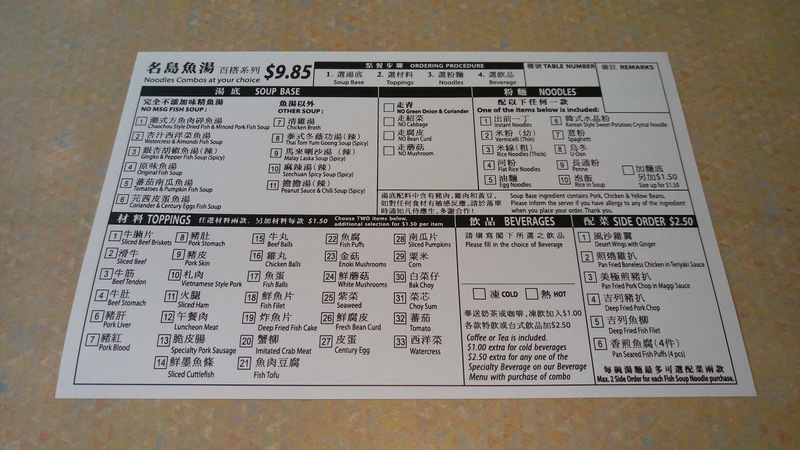 This restaurant is owned and operated by Chinese from China. 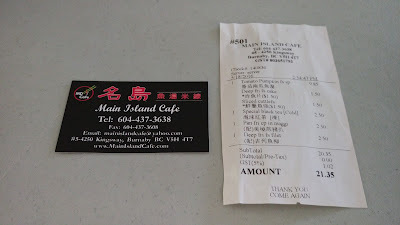 While the food quantity was ideal, the quality was below par and the service was sparse and icy. Not a return.